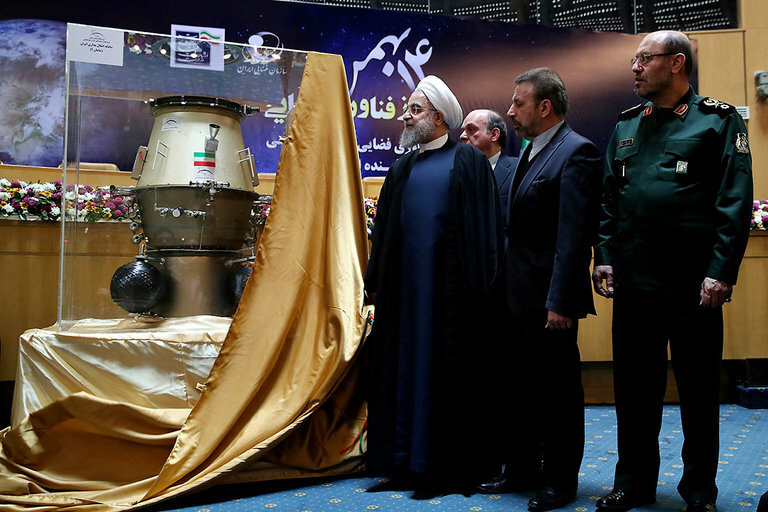 President Hassan Rouhani, left, visited a Tehran exhibition of Iran’s achievements in space technology on Wednesday. With him were the minister of communications, Mahmoud Vaezi, center, and the defense minister, Hossein Dehghan. TEHRAN — Iran confirmed on Wednesday that it recently conducted a missile test, but it rejected accusations from the United States that the launch had violated a United Nations Security Council resolution. The confirmation by the defense minister, Hossein Dehghan, was the first by an Iranian official since the country was accused of violating the 2015 resolution because the test involved a ballistic missile that could theoretically carry a nuclear warhead. 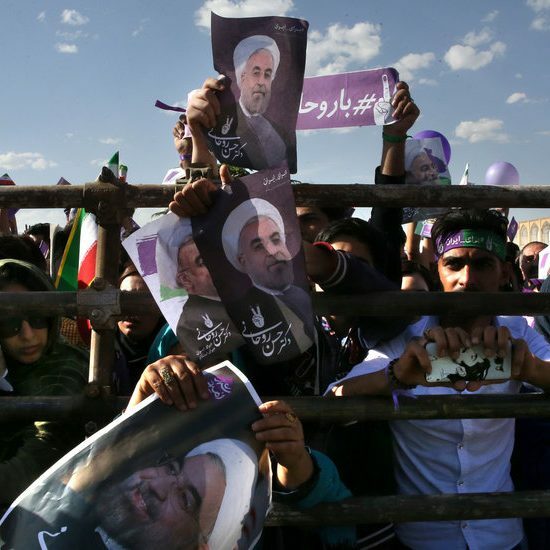 The remarks came a day after President Hassan Rouhani disparaged President Trump for his immigration order barring refugees, as well as citizens of seven predominantly-Muslim countries including Iran. “Banning visas for other nations is the act of newcomers to the political scene,” Mr. Rouhani said. Mr. Dehghan emphasized that the missile test did not, in Iran’s view, violate the terms of the resolution, nor those of the 2015 nuclear agreement that preceded it. No country will be allowed to interfere in Iranian domestic affairs, he said, adding that tests would definitely continue. 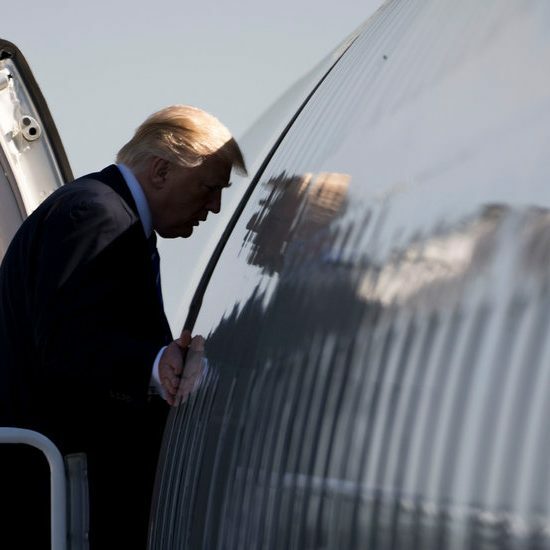 Mr. Trump has repeatedly described the 2015 nuclear agreement, reached with the United States and other countries, as “a very bad deal,” and many of his advisers have argued in speeches and books that Iran is the biggest threat to American interests. “You’re going to see us call them out as we said we would, and you are also going to see us act accordingly,” Nikki R. Haley, the new United States ambassador to the United Nations, said on Tuesday. The United States called an urgent meeting of the Security Council on Tuesday to discuss the matter. Iran does not have a modern fleet of fighter jets, but it has tried to compensate in recent decades by building an extensive defense program, with missiles able to strike Israel and Southern and Eastern Europe. It has denied that its missiles can carry nuclear warheads, a view that has been supported by the International Atomic Energy Agency, which monitors parts of the execution of the nuclear agreement.